I am a very lucky girl because few weeks ago I received an H&M gift card. It came at a brilliant time as I was much in need of a new Spring and Summer wardrobe. Also as I am off to Barcelona in few days time and temperatures over there will be on average of 28 degrees it was even more of an excuse to do a little shopping. 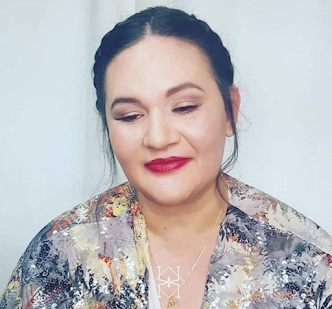 What I choose is very me, I love the "rock chic" look but when it comes to hotter days my wardrobe is more casual, simple lines and light colours. I guess you could describe it as basic but trust me to personalised it with some jewellery, a handbag and red lips. I also treated myself to a well needed new pair of sunglasses, I always go for the aviator style I think this style of glasses will never go out of fashion, they also suit me well and goes with every outfit. Last but not least I also got a simple gold necklace at £2.99 which will give a lovely chic touch to my summer outfit. 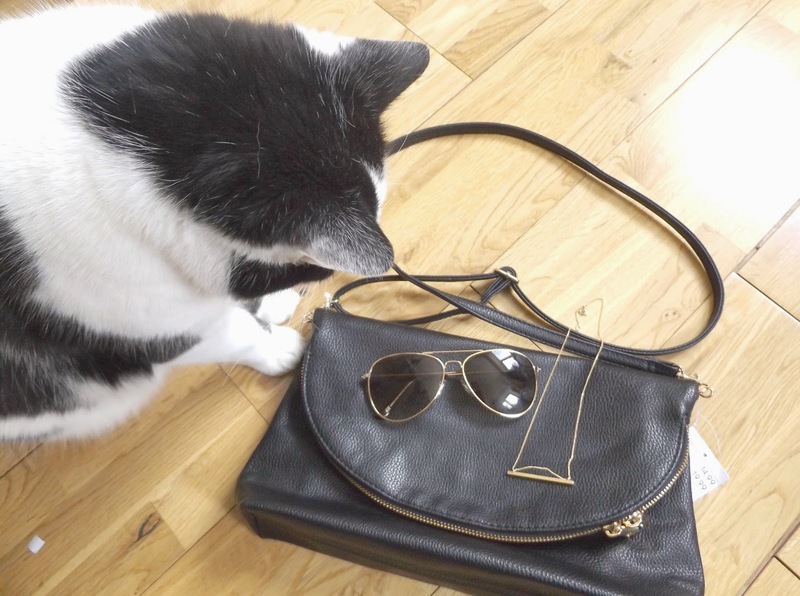 As you can see, Pumpkin my cat, was rather very interested about the handbag, necklace & sunglasses, so two thumbs up from him or shall I say two paws up!! He was very helpful with me while photo shooting this post mostly by trying to chew on the necklace or my handbag straps, I guess he was just testing the quality, right? Overall the total cost was £54.94, I guess for 6 items this is rather a good bargain. I do love H&M I personally think that their quality is a bit higher than some other low cost retailers out there. 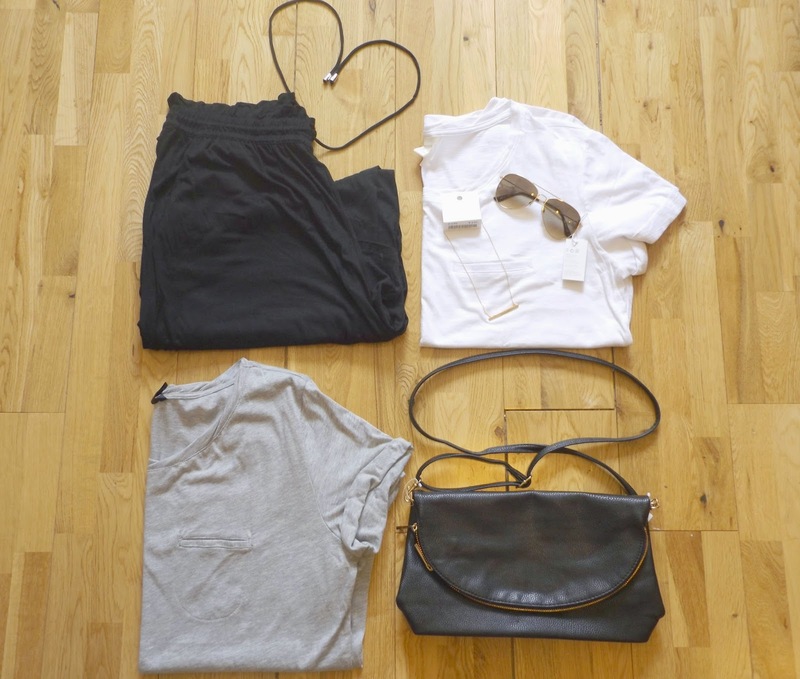 If you are interested by purchasing this look you can find them all available at H&M by clicking here. Do you like any of these items? What is your favourite summer look? Please leave me a comment below, I always comment back.